Sahara is one of the most exclusive and innovative electric string quartets in London. Being the first female string group to incorporate saxophone in to the traditional string quartet format, Sahara continues to change the way classical music is perceived. With a love for classical and popular music, the string quartet produce fun uptempo arrangements of popular and classical music, combined with breathtaking and high-impact live performances. 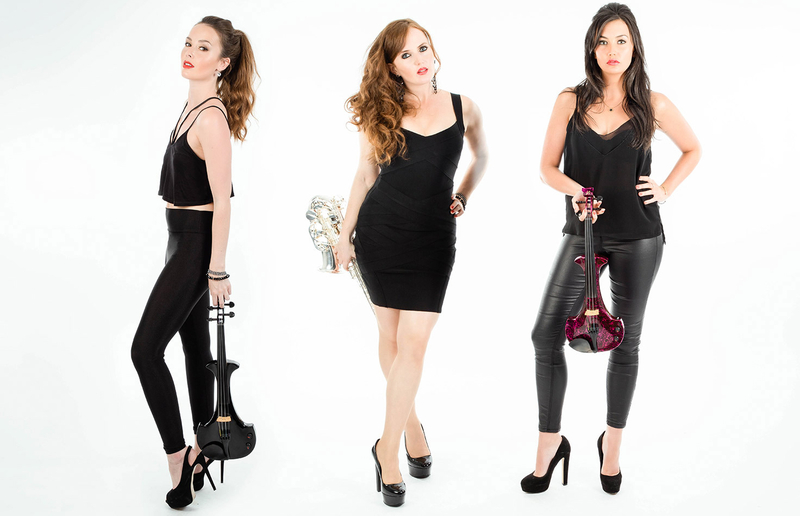 Inspired by the likes of Vitamin String Quartet, Bond Electric String Quartet and Electric Violinist Vanessa Mae, this all female string group with saxophonist Sarah Louise Ings, plays an exciting and boundary-breaking mix of classical, pop and tango music. Paving their own unique path in the world of classical crossover music, Sahara have created a signature choreographed show taking audiences on a hypnotic journey from the famous Bach Tocatta and Fugue and Palladio, to Sahara’s Tango and Happy by Pharrell Williams. Their success has seen them evolve to bring fans many different facets to their genre-defying live shows. This innovative and unrestricted approach allows them to perform as a string ensemble with saxophone, a high impact choreographed string show and even alongside rehearsed DJ Club sets performing remixes of originals and other popular club hits. Sahara’s electrifying and dramatic performances has drawn the attention of some of the most prestigious and recognised events in the world. The acclaimed electric string quartet has shared a stage with Katherine Jenkins at a special charity concert, performed with Peter Andre in 2017 to over 20,000 people and appeared live with The Gypsy Kings. Their exciting performances have also seen them open the Rugby League Season at DW Stadium in front of 18,000, open the new Harvey Nichols in Kuwait and even launch the infamous Harrods Sale. The band has also toured worldwide, headlining on cruise ships across all continents and were the face of Walk the Walk for Breast Cancer. Individually the girls have performed with an incredible range of musicians, including Olly Murs, Cheryl Cole, Robbie Williams, Muse and Gary Barlow. 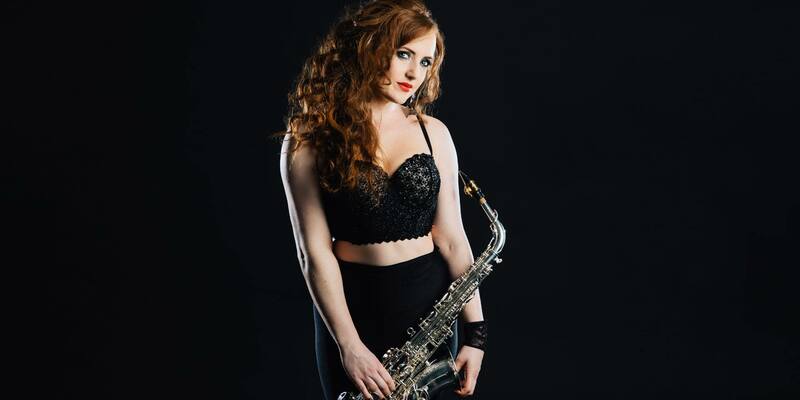 Sahara is a string trio with soprano saxophone, set up by saxophonist Sarah Louise Ings in October 2007. Collectively trained at the Guildhall School of Music and Drama and the Royal Academy of Music, this group is a music sensation creating an undeniable stir on the classical music scene. Sahara perform a mix of tangos and classical crossover music, alongside other popular songs written and produced by Sarah Louise Ings. Sahara’s single, Sahara Tango is now available to download on itunes. To discuss hiring Sahara for cross-brand collaborations, exclusive parties and weddings, contact their management, Musicians Inc, on 0787 293 6297. To hire Sahara for corporate events and exclusive parties please contact us.